Run with the Lucky Leprechaun around the Lake at Nathan Benderson Park and enjoy the gold at the end of the rainbow! 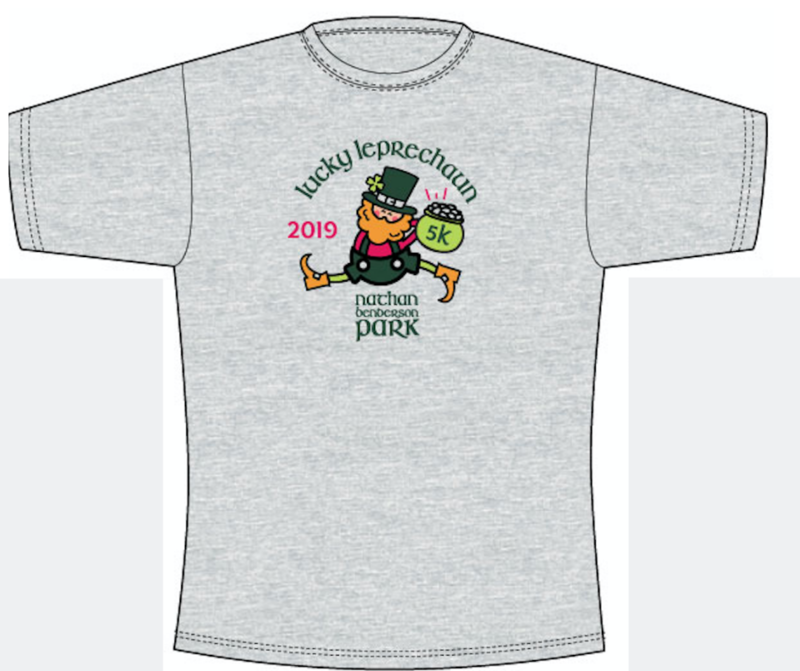 Family fun with running, walking, food and drinks for all ages at the inaugural Lucky Leprechaun 5K. Kids dash for the coins in the age bracketed rainbow dashes and runners and walkers can participate in the chip-timed 5K around the lake. Top 100 male and 100 female finishers will be awarded a commemorative prize. The entire family will enjoy Irish music, food, drinks and games at the festival at the finish line! All participants receive a race shirt, and finisher's medal, plus 1 food and 1 drink ticket per bib to celebrate St. Paddy's day. Additional food and drinks will be available for purchase at the finish line festival. 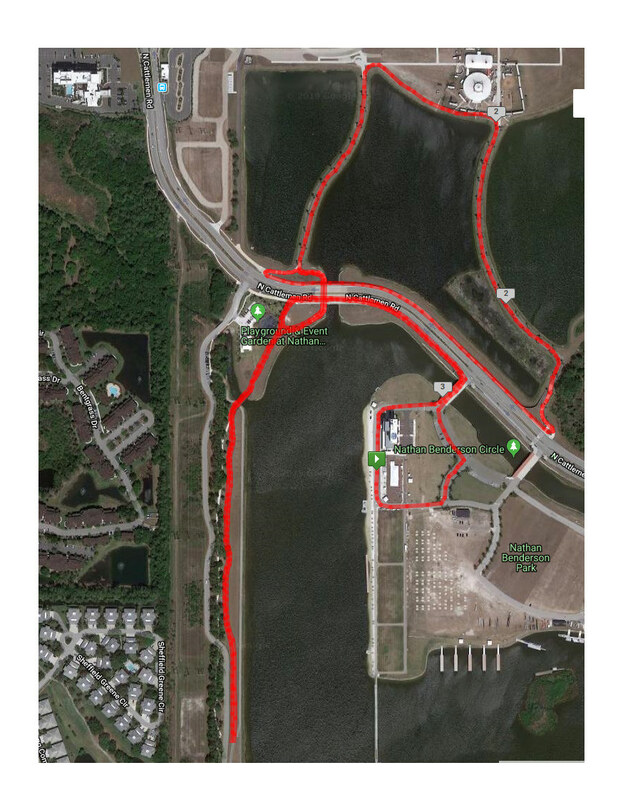 Loop around and across the Lake for a festive 5K. First one to the finish wins the Lucky Leprechaun's pot of gold! Don't want to race, but still want to attend the family friendly festival? Purchase entry to the festival and cheer on the runners plus receive food and drink tickets and join in on the celebration! Walk the 5K Course at a leisurely pace and join the finish line festival after your stroll. Walk participants still receive a race shirt and finisher's medal, but will not be included in timed results. Can't make it out on race day? Participate virtually and receive the official finisher's medal and race shirt. 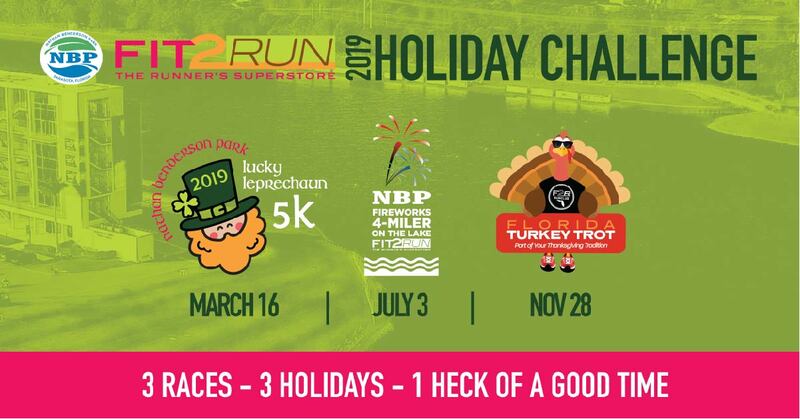 Virtual participants are not eligible for top finisher awards, but are eligible for inclusion in the Holiday Race Challenge. Official Race Shirt is a poly-blend tee from Leslie Jordan, available in Women's and Unisex sizing. Tees run true to size. Youth shirts will be cotton tees. Lucky Leprechaun 5K is the first of 3 races in the Holiday Race Challenge. 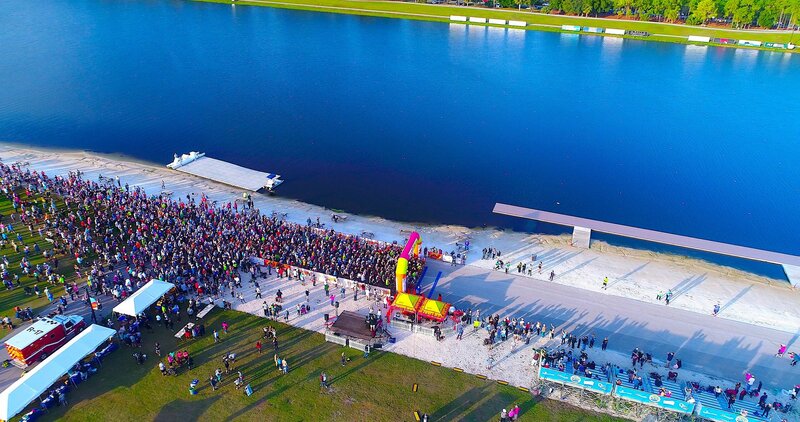 Participate in all 3 races at Nathan Benderson Park and be awarded a special medal at the finish line of the final race. Register for the challenge prior to 3/16 and get an exclusive tri-blend long sleeve shirt celebrating the Holiday Challenge. 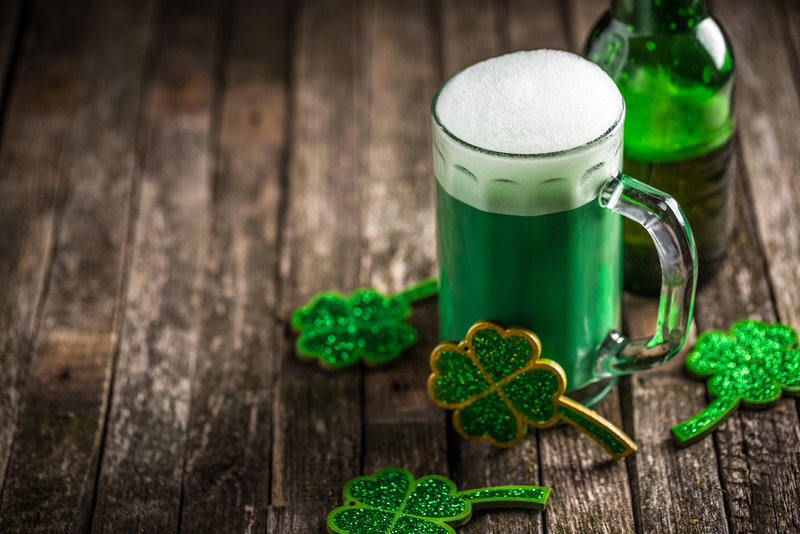 Festive beverages and Irish style food will be waiting for you at the finish line! All participants receive 1 food and 1 beverage ticket for Irish themed food and drink as you enjoy the entertainment and games after the race. Additional food and beverages will be available for purchase. Be sure to RSVP to the event on Facebook for more details as they are announced!